Capcom admits that DLC for Street Fighter X Tekken is already on the retail disc but says it's presence is necessary in order to ensure that everyone can play together online. 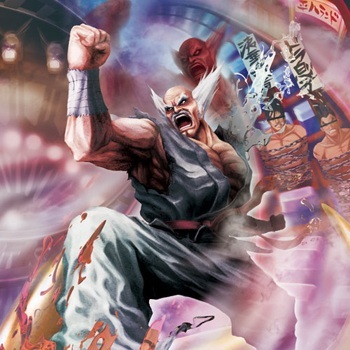 Certain segments of the internet were none too pleased when Xbox360Achievements.org reported that 12 characters intended for future release as DLC for the Xbox 360 and PlayStation 3 versions of Street Fighter X Tekken are actually already on the retail game discs. Demanding more money for DLC that isn't really DLC at all but is instead simply content that's been locked out of the game doesn't seem to sit well with people, for some reason. Following the report, Capcom acknowledged that the content is on the disc but claimed that it was necessary to include it in order to ensure that people who don't buy the extra content can still play online with those who do. "The character information and files were intentionally included on retail versions of the PS3 and Xbox 360 game to save hard drive space and to ensure for a smooth transition when the DLC is available, allowing players who choose not to purchase the content the ability to play against players that did," a Capcom rep told MCV. "More specifics regarding pricing, dates and other additional exciting DLC plans for Street Fighter X Tekken will be shared at a later date," the rep said. "As a reminder, the retail version of the game will be the only disc-based version consumers will need to own and all future upgrades will come from post-launch DLC." That's great as far as it goes, but it completely fails to address the point. People are angry because content that could and, depending on your perspective, should have been included with the game is instead being held back for more money. Even worse, Capcom is intentionally deceiving its customers by pretending, or at least implying, that these characters aren't yet ready for action. Capcom's explanation may be perfectly valid, but in the eyes of many angry Street Fighter fans it's probably also perfectly worthless.